Long day of zombie killing? That's what protagonist of Lollipop Chainsaw Juliet has to deal with on a regular basis but when once its all done, what's the best way to get all that zombie nastiness off you? 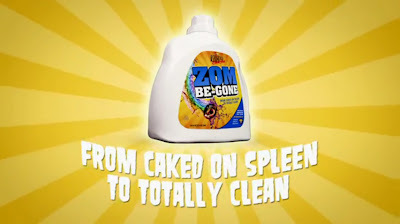 Check out Zom-B-Gone, a super detergent that acts fast and penetrates deep to make your clothes come out looking cleaner and better than ever!